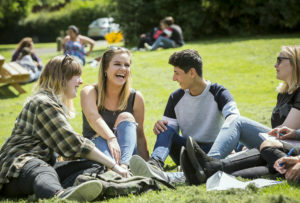 Tutors from all subject areas as well as student support, accommodation, finance, transport and GCSE re-sits will be available to answer your questions and let you know more about our courses and life at Sparsholt. 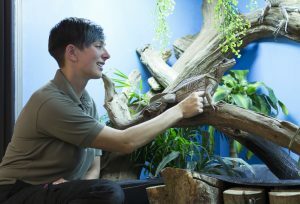 You will also get the chance to tour our specialist facilities such as our Aquatic Research and Conservation Centre (ARCC), Animal Management Centre that houses over 1,200 animals and our large Equine Centre (awarded British Dressage Venue of the Year) plus many more fantastic facilities found here. Tours will be available by asking tutors or by minibus. Our dedicated Principal will also be on hand to answer any questions you may have and will deliver welcome presentations to give you an insight into why Sparsholt is on of the UK’s leading land based education providers. Prospective degree students interested in studying at University Centre Sparsholt, please follow signage at our event to the main Library. There, our degree experts will discuss our courses from Undergraduates through to Masters. Sign up to visit our University Centre Sparsholt event! View and download our new prospectus for 2019!